The popularity of shared office and co-work spaces has gone up – not only in Manila but Cebu as well. This newer model is slowly replacing the traditional workplace set up which most of us are used to and has great appeal for small businesses and start-ups. Most shared workspaces embrace the concept of an open floor layout where everyone can work in an ample space. The feel of most shared spaces is more relaxed with a hipster look. Many co-workspaces incorporate private rooms like seat leasing Philippines. But, in most, you’ll get to share the floor with everyone who is renting the place. No matter what the payment options are, the main thing you’ll notice is that shared workspaces aim to create a friendly and relaxed feel. As of the moment, the shared workspace business is one of the most popular in the field of start-ups, as the industry continues to expand. Due to the uncertainty of today’s economy, companies are now wary of renting their space, and this perspective contributes to the continuous growth of shared spaces. Since bottom-line costs are significant in any business, a lot of entrepreneurs are embracing the set up. Shared workspaces include amenities like conference rooms that come equipped with furniture and have Wi-Fi. These factors lead to lots of savings. The fixed 9 to 5 and 8 to 6 work schedules are on the brink of extinction. People do their tasks when they feel most productive. Most co-workspaces are usually open until the wee hours compared to traditional offices. This provides employees and freelancers the option to work at their own pace. A mix of flexible work schedule and low costs give new businesses an easier way to start. When the moment comes, and the business is ready to expand, entrepreneurs can always rent more spaces for their growing team. If the option is to have their own Office Space Cebu, then the short-term contracts of renting out co-workspaces is also a good deal-breaker. Meeting different people from the same or varied fields opens the door to new business opportunities. Sooner or later, the people you’ve met will be valuable assets. Who knows, that person sitting beside you may be your next business partner– or as cheesy as it seems, life partner. Sharing space with innovators and professionals gives you lots of opportunities to learn. Having an exchange of ideas and gaining knowledge in the process is always a win-win for everyone. The chance to mingle with other companies gives you the opportunity to expand your business. By sharing space, you meet people who might need your products and services – and this is definitely a good thing. Shared workspaces may not be for everyone though. There are still individuals who like the traditional office setting. 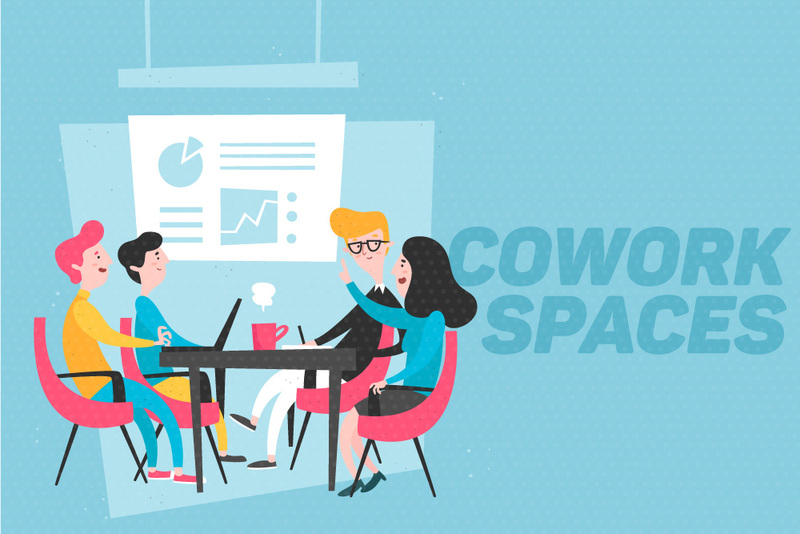 But with a lot of benefits for your business, such as being able to save money, the concept of co-workspaces is something that you may definitely want to consider.